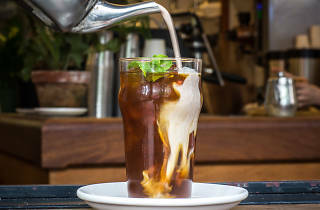 Nicholas Morgenstern (GG's, the General Greene) serves dishes inspired by the California coast at this Lower East Side eatery, having transformed the former El Rey café-bar into a modern lunch counter. 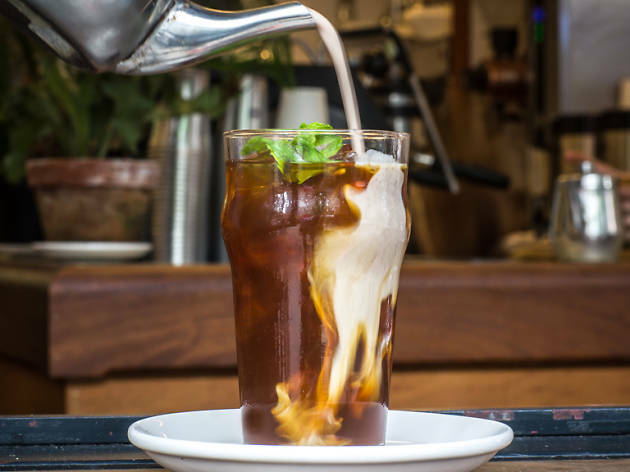 In the 15-seat space—featuring communal tables, globe lambs and a multiwood bar—find Vietnamese iced coffee on tap, pastries like plum-and-ginger Danishes and parsnip-and-cajeta toast for breakfast. Heartier lunch dishes include charred chicken brown rice bowls while the bar also pours draft beers, kombucha, and aguas frescas. The hot chocolate here is some of the best in the city. The space is nice and bright in the Lower East Side with seating for small groups. Definitely a good place to relax. Their avocado toast is also another reason to visit this place. Really cute coffee shop on the LES. I love finding little odd places like this around tucked amongst all the bars and restuarants. Reasonable prices, not too crowded, enough seating for a fairly large group and the ambiance was chill without being too pretentious. I'm not a coffee drinker but they had lots of options for non-coffee drinkers as well and nice snacks!